Most Blender users have never heard of drivers, and if they have, they think it is too difficult to understand. This is a real shame, because drivers are one of the most powerful parts of Blender. They allow us to automate work, and create really awesome things without having to write lots of code! Learn what drivers are, how they work and what you can do with them. Together we will create different automatic objects that would have seemed like magic before! And don’t worry if it looks very hard, we will go through everything step by step, making it easy to understand. Watch all the free tutorials below! Explore Blender has helped me understand drivers more than any other source. Really great videos and very professional. Nifty and easy to understand despite being very powerful. 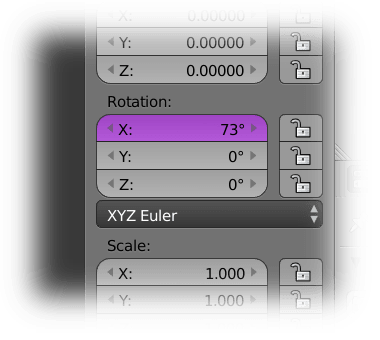 Very clear and easy to understand instructions for (in my opinion) one of the most confusing parts of Blender. Excellent ... Time to blow my mind again. It is so good that I already recommended it to a few of my closest friends. Is this Training DVD for beginners? Is it available on disc? How many times can I stream/download it? You won't learn the absolute basics of Blender in this Training DVD, so you need to have used it before. But you don't need to be an expert! My advice is to watch the free tutorials and see if you feel like you keep up. If so, you know enough! Sorry, no. It is only available as stream and download. As many times as you want for a minimum of two years after purchase. Please note that the website might not always be available if technical problems occur. If someone is obviously abusing the streaming/download, the user will get blocked, but a normal user doesn't have to worry about this. 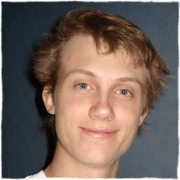 Gustav Nilsson, that sells Digital Training DVDs that helps you explore Blender's feature set and improve your skills. My goal is to create the best possible training, with detailed planning, well-written scripts and careful editing. 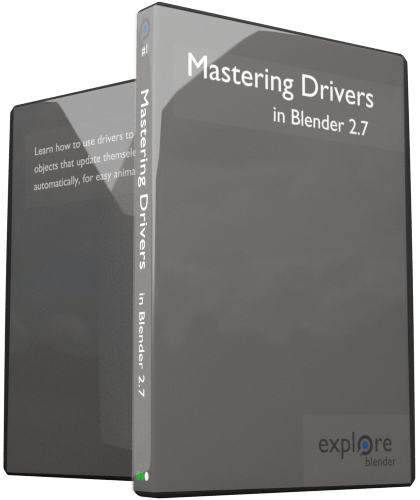 The website currently only offers one Training DVD - Mastering Drivers in Blender. Sign up for the Newsletter to get news and announcements, or follow me on Twitter or my Blog.